May 21, 2015 -- BIT Magazine Using drones for agriculture is not entirely new. 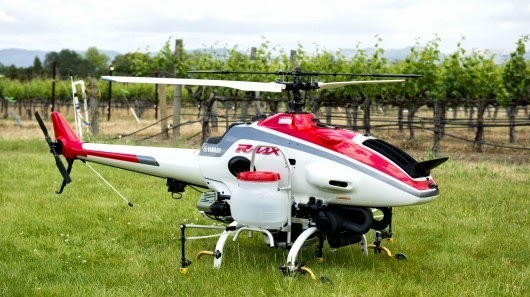 In Japan, the Yamaha R-MAX radio controlled platform has been used since the 1990's for tasks including spraying crops. More recently, autonomous and semi-autonomous drones have become increasingly accessible and cheaper, and have been used for mapping and monitoring crop health, nutrients, and irrigation. 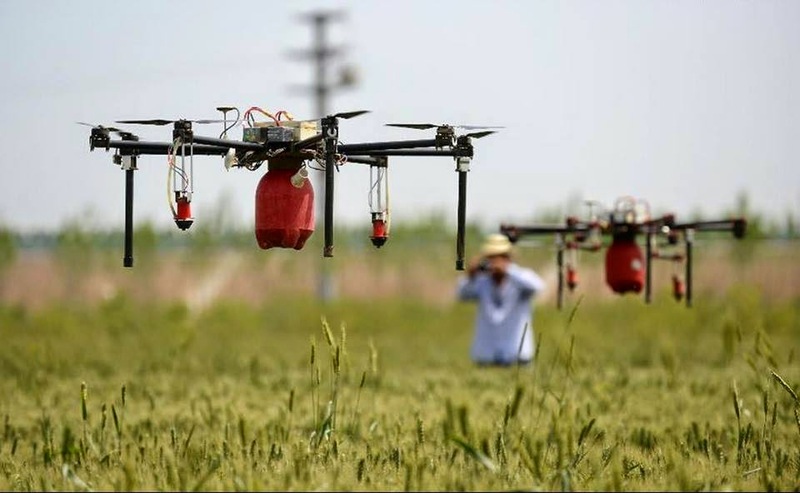 Drones in China spraying insecticides on crops. And this week, a photograph of Chinese drones spraying insecticides on fields has ignited interest particularly across the rest of Asia where agriculture is still an important industry. However, one thing seemed to be absent among the feedback to this story. Some people were divided over whether they wanted a more efficient means of spraying chemicals on their food supply. But what wasn't mentioned was that a drone can spray anything, not just industrial chemicals. There is a wide variety of organic insect repellents, herbicides, and fertilizers that could just as easily be distributed by these same drone platforms. In fact, organic methods as applied today already have begun to compete with industrial processes in terms of scale, and have long outperformed industrial agriculture in terms of quality. 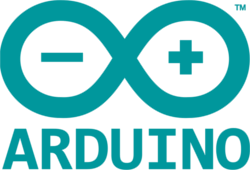 By employing automated systems like drones or rover platforms, efficiency and quality only stands to be improved. Yamaha's R-MAX R/C drone platform has been used in Japan since the 1990's. As drones become cheaper and easier to employ, there likely will be an increase in the sort of applications they can be used for. While people are currently thinking of adapting them to help out with established processes for agriculture like spraying fields, might there be novel uses for them? The design discipline of biomimicry seeks to follow examples in nature and translate them to the world of design and engineering. Drones combing a field easily remind us of insects. In organic fields absent of sterilizing chemicals, a balance is struck between pests and beneficial insects. Could drones be used to further tip the balance in favor of beneficial organisms? Imagine a drone that can mechanically disrupt, repel, or even collect pests, especially if a particular field or area lacks the necessary beneficial insects, or an invasive species is introduced. Distributing beneficial insects might be another application for organic agricultural drones. University of Queensland agricultural science student Michael Godfrey has developed a drone that spreads beneficial insects onto crops, potentially saving farmers time and money. During his Summer Science Scholarship, Mr Godfrey investigated if drones could be used to spread the beneficial Californicus mite onto crops infected with two spotted mites. Such methods could be particularly useful for farmers just switching over to organic agriculture and during the period where their sterile fields face a long-term recovery period, which includes attracting the right mix of beneficial insects and other organisms. The bottom line is, however, none of these are possibilities if people remain locked in a mindset where they associate all technology with industrial agriculture, and deny organic agriculture the benefits of these novel innovations. What sorts of technology can you think of that might be applied to organic agriculture?